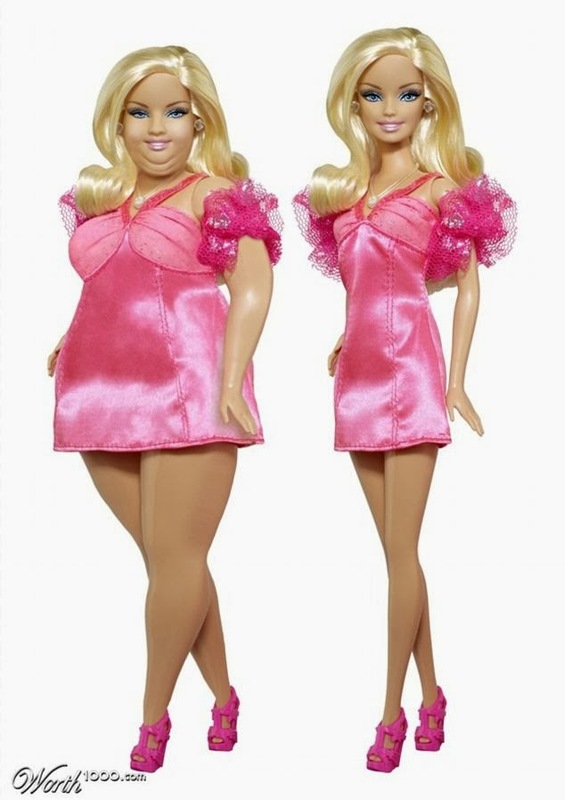 MIGG MAG: Plus-Size Barbie = Friend Or Foe? It is fascinating how many things they make the future generations of our daughters, sisters and young ladies in general go through. I am horrified by this, there is so many things wrong with Mattell as a company and I am thinking perhaps they need to re-evaluate their decision making paradigm. I am as well. It's repulsive. And Barbie, especially, is one of the emblematic toys for young girls. At least the conversation is open; Barbie's obscene proportions weren't even discussed heavily until 2011. But nothing has been done, yet. They need to re-evaluate their morality if you ask me. You'd think creating a "normal" doll would not be such of a hard decision. There you are, that is the head of the nail no one wants to speak about. The morality is it, the fact that you have to even mention morality in the discussion of a doll makes me sick to my stomach. Common sense would suggest you wouldn't have to. But I don't think the manufacturers possess that either. Positive representation of body diversity has sooo far to go. It's really depressing. Depressing yes, but there is still hope in the world. Baby steps have been taken, at least let us build off of that. Is that a digital rendering or do they really have a Plus size Barbie? Mig, I think YOU should be the plus-size Barbie because you look amazing!